Cars need to be looked after to ensure that they reach their full potential and last for many years to come. A car service is often overlooked by many car owners, but we believe it a very important part of ensuring your car is maintained properly. A full-service history can help your car go a long way. Freeway Exhaust & Tyre Centre, based in Tunbridge Wells, offer high quality and reliable car servicing for those in the nearby area. Our typical car servicing will last between 1 and 2 hours, so you’ll never be waiting long to get back on the road. If you are searching for ‘Car Servicing Tunbridge Wells’ then get in touch with us on 01892 520022. Why Does Your Car Need a Service? Unlike an MOT, a car service is not legally required for you to be able to drive your vehicle. However, servicing a car has become a huge part of many people’s routines when it comes looking after the vehicle and ensuring it is in good condition. There are many good reasons to get your car serviced. Firstly, a car service can help to identify any potential problems before they become a real issue. 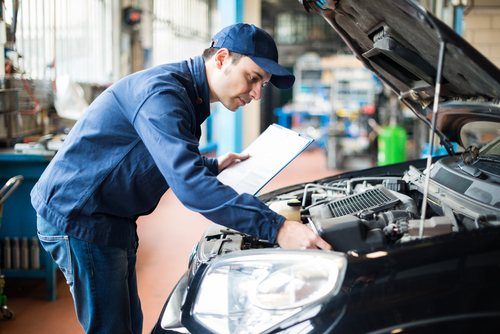 Of course, if your car has passed its MOT then it’s most likely to be working fine, but during the time between your last and upcoming MOT, issues could develop, so it’s important to get these checked out in between. It is recommended that you get your car serviced before your MOT is due. This will allow our technicians to identify any faults with your car so that these issues can be fixed before your MOT test is due. If you know that your car is a little rusty and needs a check-up before the test, we would recommend that you bring it to our centre for a full service. Regular servicing can also help you retain the value of your car if you ever plan to sell it in the future. If a buyer can see that you have regularly serviced the vehicle then they will know it is in good shape and has been looked after. It is a very popular selling point for buyers and will put your vehicle in a good position for the future. At Freeway, we offer two different types of car servicing to suit your needs. The first type of servicing that we offer is a basic filter and oil change. This will make sure that your car’s oil is replaced and we will do a general check of your car to make sure everything is working as it should. A regular oil change is essential to the performance of your vehicle. The second and more popular type of car servicing we offer is known as a full service. Our full service includes light and tyre checks, replacement of fuel filters, oil changes and much more. It is recommended that you get your vehicle serviced every 12,000 miles or every 12 months. This will ensure that your vehicle is running smoothly and will allow us to check for any issues that may develop in the future so that they can be dealt with in advance. Our comprehensive car service prices start from just £140 – simply get in touch and our team can discuss more specific pricing with you. We are an independent and family run business who take pride in our ability to provide customers with an excellent car service. If you are looking for a quality and thorough car service, then perhaps consider Freeway. For more information on our car servicing in Tunbridge Wells, please give us a call on 01892 520022.